April 7, 2014 marks the 12th anniversary of the arrest and detention of Tibetan Buddhist leader Tenzin Delek Rinpoche. Recognized by His Holiness the Dalai Lama as a reincarnated lama in the 1980s, Tenzin Delek Rinpoche has been a community leader and a staunch advocate for the protection and preservation of Tibetan culture, religion, and way of life for decades. 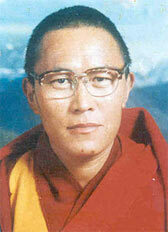 In 2002, the Rinpoche was arrested on false charges of exploding bombs and distributing separatist leaflets. The only evidence against him was extracted from a relative during torture. The relative later recanted, clearing Rinpoche of any wrong-doing. Rinpoche’s trial was held in secret and even though he had no independent legal counsel and the evidence against him was non-existent, he received a death sentence. The sentence was later commuted to life in prison, and he remains there today. Reports say that his health is failing. Tenzin Delek Rinpoche is widely respected by the people (both Tibetan and Chinese) in his home county of Lithang in eastern Tibet. Over 40,000 of them have signed their names to a petition asking for his release, each attesting to their signature by adding a thumbprint in red ink. Every single one of the 40,000 Tibetan signers knows that they risk their freedom and perhaps their lives by speaking out for the Tenzin Delek Rinpoche. The International Campaign for Tibet has been joining an international effort to call for the release of Tenzin Delek Rinpoche. We have been urging, and will continue our effort to ask, governments to raise his issue with the Chinese authorities.